I am truly enjoying summer 17 so far, the late nights, warm weather, good food and cocktails, summer 17 is already LIT. And of course I’ve been having so much fun styling outfits for summer. 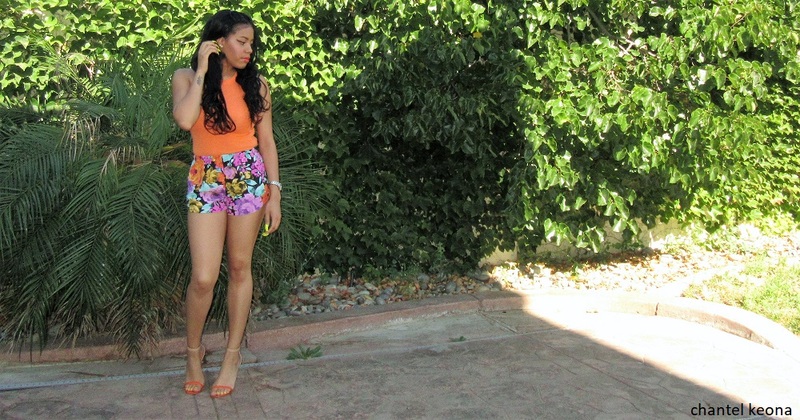 For today’s look I am wearing a sleeve less orange bodysuit, floral print shorts and tan and orange heels. I’m also wearing an orange lipstick to compliment my look. I hope this inspires you and keep reading for all the deets.